Parking is always a top concern for residents and the parking situation in the Miracle Mile isn’t improving. New apartment complexes are either under construction or soon will be on the large surface parking lots behind the Desmond’s and Dominguez-Wilshire buildings, forcing office tenants to temporarily find parking elsewhere. The advent of the Academy Museum and the construction of the subway portals at La Brea and Fairfax will greatly stress the available street parking in the area. 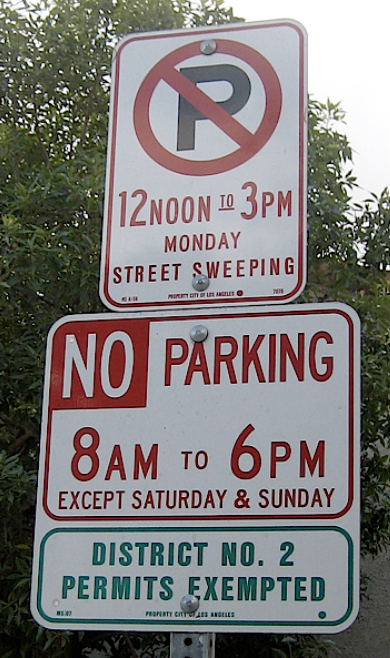 Although many blocks in the Miracle Mile have Preferential Parking not all of them restrict parking solely to permit-holders 24 hours a day. 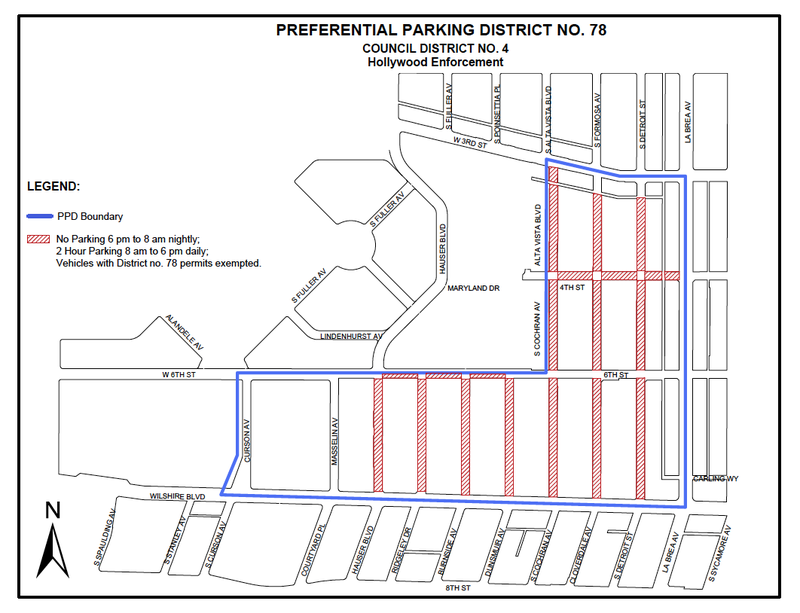 Recently the residents of the 700 block of South Genesee Avenue submitted a petition to revise the Preferential Parking regulations on their street from permit parking only Monday through Friday, 8 AM to 6 PM, to permit parking only 24 hours a day, seven days a week. Like many blocks immediately north and south of Wilshire Boulevard, South Genesee has older multiple-unit buildings with very limited or no off-street parking. Streets near Museum Row also attract large numbers of museum visitors seeking free parking. Lance Fisher, a long-time resident of South Genesee, organized a petition drive to collect the necessary number of signatures to change the parking restrictions. The petition is now waiting to be vetted by the Los Angeles Department of Transportation [LADOT]. Unfortunately, due to cut backs in city services it can take many months for petitions to go through the verification and approval process. 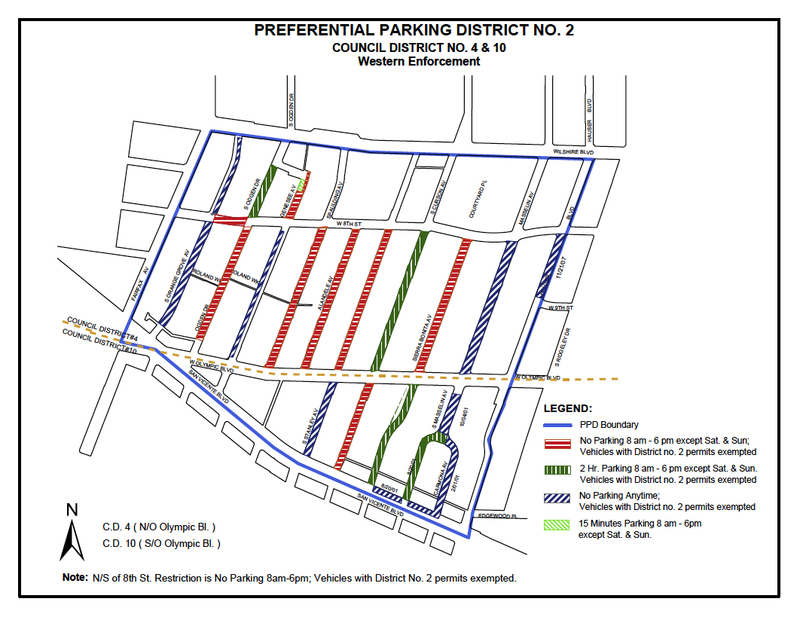 In the MMRA Annual Poll many people commented that they either wanted Preferential Parking on their street or wished to revise the existing permit-only restrictions. 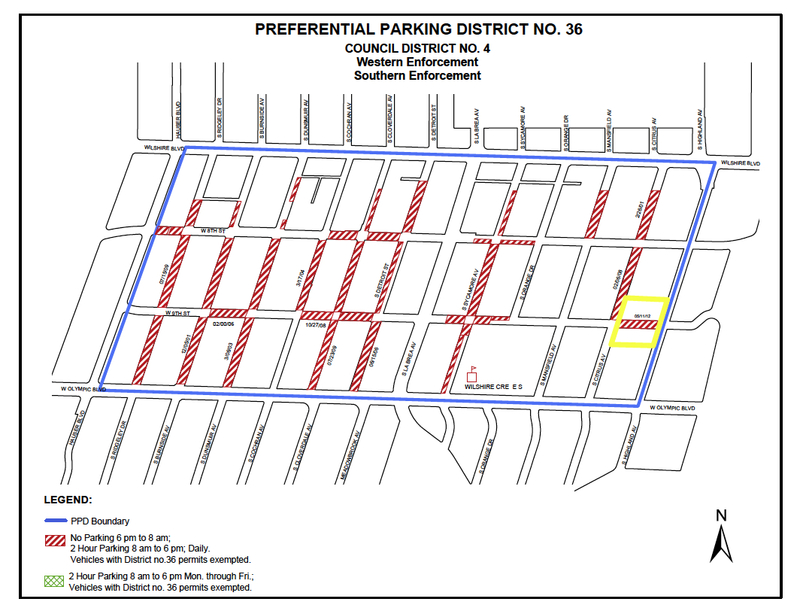 Here’s a link to a guide prepared by LADOT that explains how to attain Preferential Parking or change the restrictions if your block already has Preferential Parking. A blank petition in the approved format can be found at the end of the guide. Preferential Parking and what sort of restrictions a given block has are solely a matter for the residents of that block to determine – but given the extraordinary amount of new development in the works for the Miracle Mile this is a good time for neighbors to review and discuss the parking situations on their street.